The City of Londonderry Grand Orange Lodge was founded in 1834. 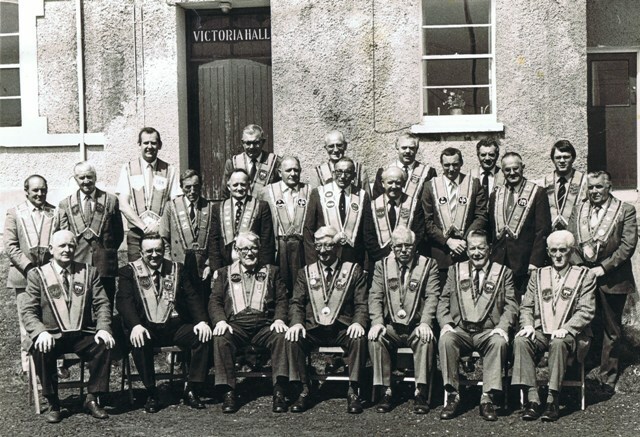 Although 1995 was the 200 year anniversary of the foundation of the Orange Institution in counties Armagh and Tyrone, the Order reached the North West of Ireland at a later date. Various Commemorative clubs were in existence in Londonderry after the siege of 1688-89. 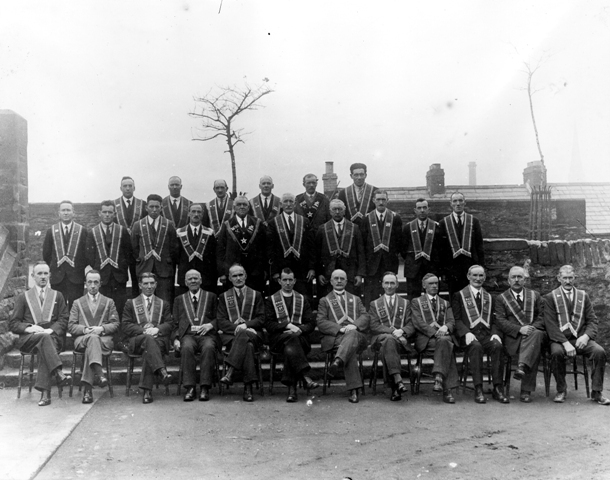 These clubs provided for the mutual protection of the Protestant Community, for which the Orange Institution was formed to provide in other areas of Northern Ireland. The past 30 years of terrorism has had an adverse effect on our membership. In 1970 more than 13,000 Protestants lived on Londonderry's West Bank, there are now less than 1,000 left. Protestant families used to live in areas such as Glenbank, Shantallow, Rosemount, Strand Road, Buncrana Road, Culmore Road and Northland Road. They have long since fled these areas following sectarian attacks, including murders, and particularly the IRA bomb attacks on Protestant businesses in the 1970s. The residual Protestant population left on the West Bank of the Foyle is crammed into the Fountain Street Estate, where they are subject to regular ongoing sectarian attacks. Many potential recruits to the Orange Institution were absorbed into security duties. Anyone remotely connected with the security forces were moved from their homes if they lived too near the trouble areas, and in particularly from the West Bank of the Foyle. Many security force personnel were advised not too participate in any Loyal Order activities.